As it is said, “signature is trust” in Japanese proverb, signature seal presents its owner’s status in our culture. Since Japanese culture was influenced by Chinese culture, signature stamps have been used in lieu of signatures in personal documents, office paperwork, contracts, or any item requiring acknowledgement or authorship. Even at the present day, sizes of seals are decided depends on situations. Officially registered seal is tending to be larger than daily used one. 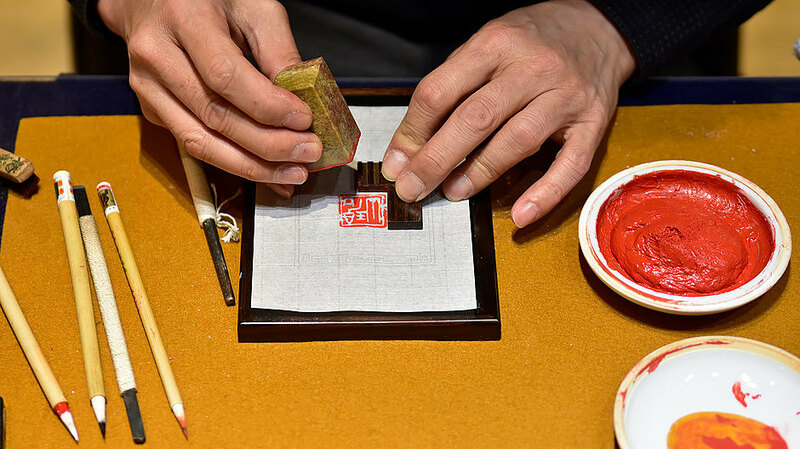 Seals used to be made by metals, and high skill in carving is required. However, since stones are started to be used, it became easier for people to carve their own seals. 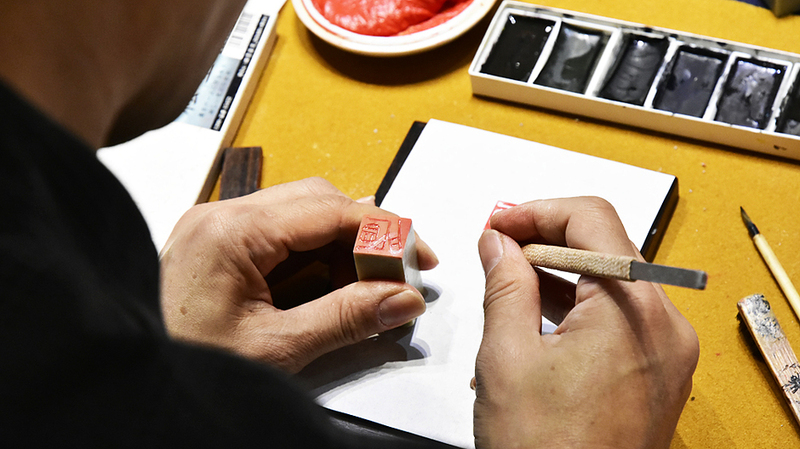 Today, carving signature seal is familiar as a part of Japanese calligraphy culture. Differ from official document seals, it allows people to demonstrate their individual characteristics. Various shapes of seals such as rectangle, ellipse, heart, and animals were already existed 2000 years ago. 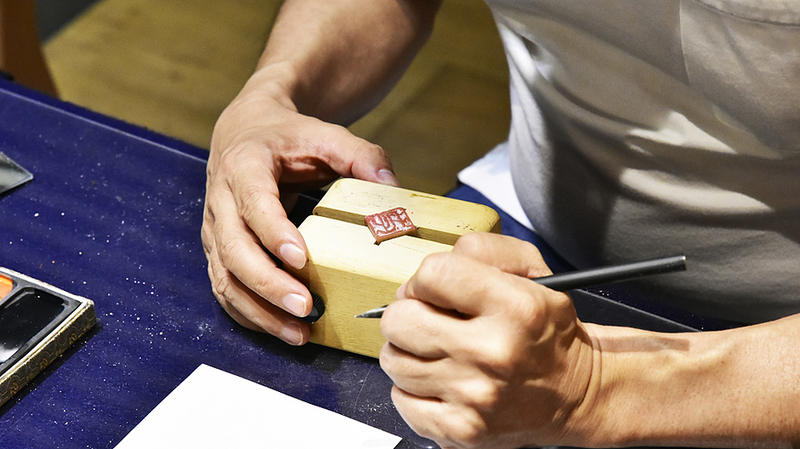 In the workshop, we will begin with carving one letter on the stone, and then stamp the seal on your art works. This will be a great chance to create your own signature seal, and you will enjoy using it in many situations!